Today’s picture book review post is about creativity, passion and the power of being true to yourself. Yevgenia Nayberg is the author and illustrator of this unique and heartwarming story based on her own experiences as a left-handed artist growing up in Russia. In Russia, right-handedness is demanded–it is the right way. This cultural expectation stifles young Anya’s creativity and artistic spirit as she draws the world around her in secret. Hiding away from family, teachers, and neighbors, Anya imagines a secret society of famous left-handed artists drawing alongside her. But once her family emigrates from Russia to America, her life becomes less clandestine, and she no longer feels she needs to conceal a piece of her identity. Now, let’s meet the author and talented artist behind this gorgeous story! It’s great to have you, Yevegenia! Thanks for having me, Katie. I’d like to jump right in with a quote that I absolutely love from your story. “The right hand took care of the world around Anya. The left hand took care of the world inside Anya. Anything she imagined, the left hand could draw.” These are such beautiful words within your story. Where did your inspiration for this story stem from? Are you left-handed? Yes, I am left-handed! Anya’s Secret Society is based on my childhood memories. I grew up in Russia where, at the time, lefties were quite rare. It is a story about being different, but also about creativity and secret imaginary worlds. You include a very informative author’s note at the end of the story that shares some more about you growing up in the Soviet Union and unusualness of seeing someone left-handed. Did you know from the beginning that you wanted to include this integral backmatter? I did not plan on including the backmatter. It is still a concept that I struggle with. I prefer to explain less and leave more space for mystery. Simply speaking, yes, because I am a left-handed immigrant artist who enjoys her imaginary worlds. Unlike my character, Anya, I moved to the US as an adult, and my immigration experience if quite different from Anya’s. Anya is an improved, more exuberant version of me. Did you have your own ‘Secret Lefty Society’? I still have a secret society of my own, but, of course, it must remain secret! Not only did you write the story, but you illustrated it as well. You use a lot of textures. Can you tell us more about your process? I used a mixed media/digital collage. A story usually dictates a technique. If I write about the old masters from the past, I want my style to reflect that. It is a technical trick, if you will, achieved through texture and lighting. In the book, when Anya moves from Russia to New York City, I make a subtle stylistic change as well, but that change is made through color and composition. If you could share a piece of advice with writers, what would it be? Find a story that you love- you are going to be stuck with it for a long time! My next author/illustrator book, Typewriter, is coming out in 2020 from Creative Editions. It is a story told by a Russian typewriter, that (who?) immigrates to America. My latest picture book is called Mona Lisa in New York. Mona Lisa is currently looking for a publisher. Do you have any social media channels or a website you’d like to share? Thank you for sharing your wonderful story and for letting me interview you! You can purchase ANYA’S SECRET SOCIETY here. Did you know that every year over 8-million metric tons of plastics enter our seas? That is equivalent to five plastic bags filled with trash for every foot of coastline in the world. That’s madness! 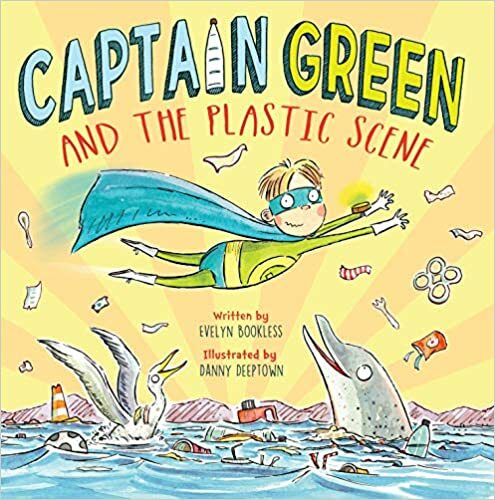 Author Evelyn Bookless felt the urge to write a story that engages and educates the children of our future in this fight against ocean pollution. She has found a way to take this crucial topic and make it kid-friendly! The result? An awesome pollution-fighting superhero! CAPTAIN GREEN AND THE PLASTIC SCENE couldn’t be more timely and needed! Let’s dive in and learn some more! Don’t you love the cover? I do! Fresh out of Superhero School, Captain Green gets a call. Dolphin is tangled up in plastic, and there’s trouble for Seagull and Turtle too. When our brave superhero rushes off to help, he finds himself on a major mission: saving sea creatures from plastic. Using his incredible powers, Captain Green promises to save the day. But can he clean up this mess for good? Now let’s meet the real superhero behind this entertaining, yet educational story about protecting our environment, author Evelyn Bookless! It’s so great to have you! Can you share your inspiration behind CAPTAIN GREEN AND THE PLASTIC SCENE? I was inspired to write Captain Green and the Plastic Scene while on holiday in Indonesia several years ago. I was saddened by the huge amount of plastic that had washed up on the beach not too far from our hotel. Such an incredibly beautiful place was destroyed by our actions. I thought, this pesky problem needs a superhero, and Captain Green was born! I immediately began researching and writing the story with the goal of engaging children, in a fun way, in the fight against ocean pollution. You’ve taken a very serious subject and found a way to make it easier for children to understand. What was that process like? Thank you! I adore animals and nature and when I began to learn more and more about the way plastic is polluting our oceans and hurting sea creatures, I wanted to shine a light on the problem while, most importantly, telling a story that children would enjoy and connect with. I watched documentaries, read widely and talked to a marine biologist to learn as much as I could. Then I chose three animals to include and studied their habits and habitats. What is something you would like your readers to take away from this story? That if we all make some small changes in our daily lives, we can make a big difference to ocean pollution and the well-being of our sea creatures. It’s not too late! When writing CAPTAIN GREEN AND THE PLASTIC SCENE, did you get to work directly with illustrator Danny Deeptown? How did you determine the superhero look for Captain Green? I did get to work closely with Danny Deeptown and it was a fantastic experience. I was thrilled when he came on board to illustrate the book. He has brought so much emotion, life and action to the pictures. Danny felt that it was important to get Captain Green’s innocence across so that all children can relate to him, or even better, want to be like him. Captain Green loves nature and does his best to protect the planet. He shows everyone ways that they can help save our seas and empowers us all to do our bit. I loved all of Danny’s initial character sketches for Captain Green and, in the end, he amalgamated ideas from two different drawings to come up with the final look. Children have responded so well to the character and I adore seeing pictures of little ones pretending to be Captain Green. I would advise writers to read as many current picture books relating to their WIP as they can. I read countless books about adventures, superheroes, the environment, and animals to order to find suitable mentor texts that I could use. I have some more school visits coming up soon. I love to visit schools to share the book and hear children’s bright ideas for saving our seas. I am working on another Captain Green story about a different environmental topic and I hope it will be finished some time later in the year. I am playing around with different ways to tell the story. I am working on a whole host of other stories that are much more silly so fingers crossed that I find a good home from them too. Thank you for writing a kid-friendly, fun story with such a vital theme for children. Also, thank you for taking the time to answer some questions! Thank you for having me on your blog, Katie! I also wanted to include this informative short three-minute video from National Geographic that shares the detrimental effects plastic has on our oceans. Check out these classroom activities regarding the impact of plastics for various age levels here and more resources here. Children everywhere are already taking a stand against plastics entering our oceans. Check out the 4-minute video below. You can preorder CAPTAIN GREEN AND THE PLASTIC SCENE on Amazon or purchase it now by visiting here or here. In the midst of revising a story and writing a couple of articles, why not add a fun little contest to the list! Ha! 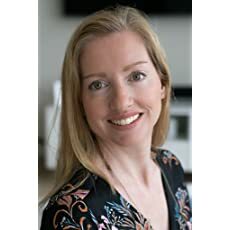 Children’s author, Susannah Hill, is hosting her fourth annual Valentine contest. While I wasn’t able to put as much time into it as I’d like, I still enjoyed participating and giving it a whirl! The story has to be kid appropriate, maximum 214-words, in which someone feels guilty. What fun! Ollie Octopus swirled and twirled on a wave of love. After all, Octopuses have three hearts. Ollie blew a kiss to a swimming Seahorse. “Bleck. Enough of the smooshy-wooshy love,” cried Seahorse. Ollie wrapped her arms around a grumpy Hermit Crab. “Please, no hugs.” He snapped. She batted her eyes at the Banded Butterflyfish. “Is something the matter?” wondered the Butterflyfish. When Ollie swam near, the snails squirmed, the fish flittered, and the seahorses raced away. They were tired of her lovey-dovey ways. With broken hearts, Ollie hopped on a current and surfed out to sea. Whoosh! The water crashed and thrashed around her. Grumpy Hermit Crab swirled and whirled past on a current. Ollie flexed her arms and STRETCHED as far as she could reach. She suctioned Hermit Crab and pulled with all of her might. Ollie wrapped Hermit Crab in a hug. Whoa! Ollie thought. I have superstrength! “You saved me!” thanked Hermit Crab. Back at the reef, Hermit Crab shared Ollie’s heroic story and Ollie flipped and flexed her arms. “Three cheers for Ollie!” The sea creatures chanted.